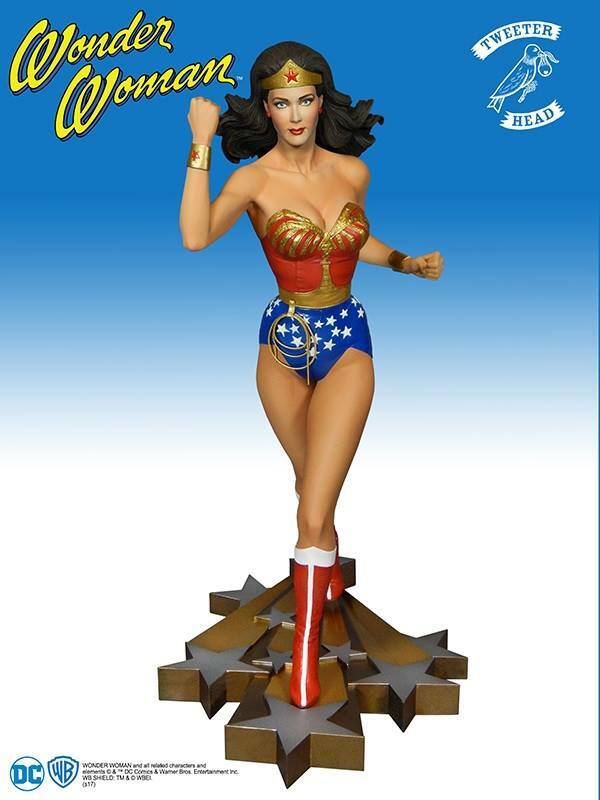 Check out our first preview for an all-new Wonder woman Maquette coming from Tweeterhead. 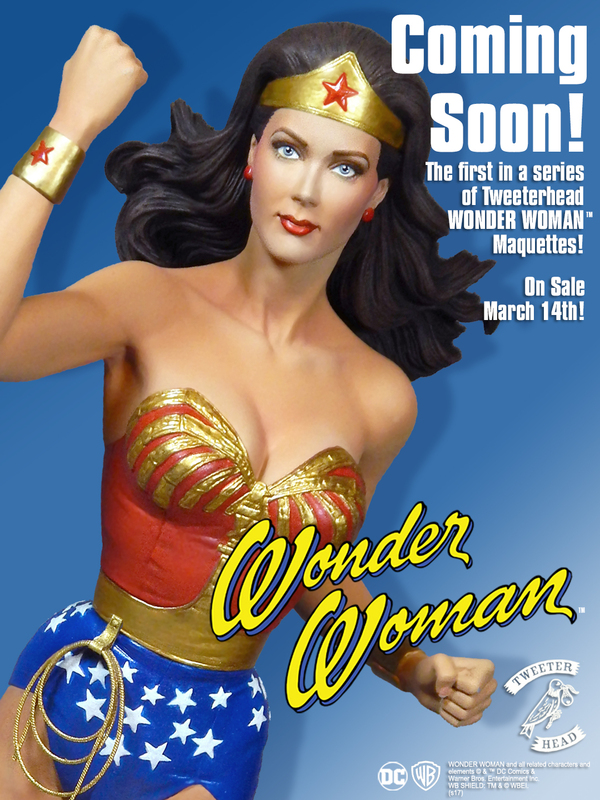 They have sent along the preview image, showcasing Lynda Carter from the classic 1970’s Wonder Woman TV Show. They will fully unveil the statue next Wednesday, March 8th. The statue will go up for purchase starting on Tuesday, March 14th. Tweeterhead, on Wednesday, will also reveal a variant of their Batman Classic TV Series Julie Newmar Catwoman Statue. We will keep everyone updated as more details and photos are released. For now, you can check out the preview image by clicking the banner above. 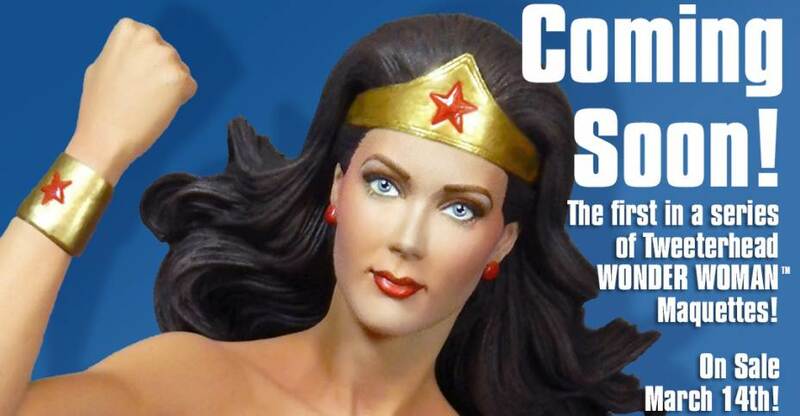 Why are there no Linda Carter Wonder Woman figures in my collection? Now that is a stunning sculpt!